Edgar Allen Poe once said, “A man’s grammar, like Caesar’s wife, should not only be pure, but above suspicion of impurity.” What this means is that when you’re writing, you should use grammatical structures that are clear and understandable to everyone. Grammar has to be perfect – but not just according to an elements of style manual. It has to sound right to the person who is reading it. That’s a bit of a challenge, given the difference between spoken and written English. If you’re worrying about your grammar now, that’s understandable. However, we have some suggestions that can help you figure it out and be confident about your writing. Here are our top tips for getting good grammar. Be cautious with commas: There are lots of rules about commas, and quite frankly, most of them are bewildering. But it’s okay! Just remember this simple rule: unless you’re using them in lists, commas separate two parts of the sentence when one can stand by itself and another can’t. Easy, right? Use semicolons right: Semicolons are easy if you remember the inverse rule from commas. Where commas join a thing that can’t stand by itself+a thing that can, semicolons only join two parts of a sentence that stand by itself. Semicolons join two independent clauses; commas join an independent and dependent clause. See what we did there? Temporary surgery: Sound ominous? Temporary surgery is just a way of referring to a tip when you’re having trouble appropriately matching the subject with the appropriate verb, remove any clauses in the way. For instance, “These great reasons, although it’s never pleasant to cut off a friend and you may have to explain your position to him, show why you should dump your boyfriend” is a very complex sentence. You might get confused about whether it should be show or shows. If so, just remove the clause and say “These great reasons show…” See? Simple! Remember your possessive rules: Possessives are always apostrophe ‘s! Got an s already? No sweat – just put the apostrophe on the outside. Add another s or not – up to you. 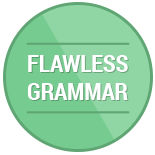 Use a grammar checker: The easiest way to get amazing grammar is to use a checker! 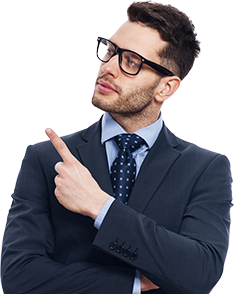 It’s easy to miss things, but with a good grammar checker, you won’t have to worry about it. You’ll get your mistakes fixed no problem. When you’re writing a paper, there’s no doubt that you’re going to have to use other people’s work. It’s simply inevitable; sources are part of the academic experience. So there’s no shame in using concepts from other papers. What’s most important is catching yourself, using them right, and citing them correctly. It’s crucial for you to remember to credit the author and show where you got your information. It’s equally crucial not to accidentally duplicate someone else’s work, which can be tricky, since you don’t know your doing it. 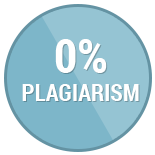 We want to help you avoid accidental plagiarism and attain correct citing, so here are our tips. So originality and citing are important. How can you make sure you’re doing them right? Look away: Don’t watch your source while paraphrasing! Influence can creep in totally on accident, and you don’t want that. Take notes: Taking notes can help you look away. Just write down in very informal language what you think the piece means, then paraphrase from notes. Summarize first: Before you start paraphrasing, think about the underlying concepts of the piece. You can even try explaining them to friends and family! Use a checker: Again, there are plenty of amazing copyright checkers out there that can help you make sure you’re citing any influences you’re showing. It only takes a few seconds to use them, too! There’s no question about it: correct grammar and citing can save your writing. Even if you’re not totally confident about your thesis, writing well and citing correctly are two huge parts of good writing. If you do these two things correctly, your teacher will know what you were trying to say, and will understand where you got it from. That’s already half the battle to a good paper! 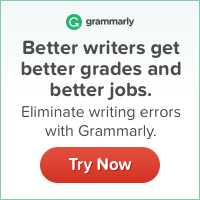 A plagiarism and grammar checker can make your life much easier. In fact, did you know that you can get both of those at the same time? 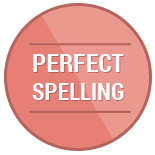 Our checker can search your work for grammar errors and copyright issues at the same time. All you have to do is plug your text in and get the result! It’s easy and only takes a few moments. Don’t stress out about citing – use our free copyright checker and feel secure in your writing.